Retain More Of Your Contract Income By Setting Up a Limited Company. I’d hazard a guess that as a full-time employee you’re probably a little concerned about making the move from employee to Contractor. You might also be unsure whether an Umbrella Company or a Limited Company is the best option for you. On this page we will answer all your burning questions…and if I miss anything then you can request a call back and I’ll happily answer any additional questions you have. Let’s start with your trading options as a Contractor. 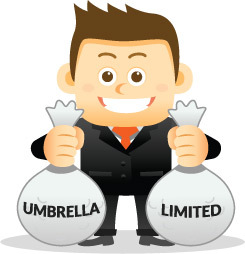 Umbrella vs. Limited Company – What’s your Best Option? Provided that you earn over £20 per hour, then the most tax efficient way for you to work is through a Limited Company. Using a Limited Company you are legally entitled to pay yourself a low salary and then draw the rest of your earnings as dividends, which are not subject to National Insurance (NI) Contributions. You’ll also benefit from being able to claim back a wider range of business expenses that will further reduce your tax liability. With a Limited Company you get to keep more of your contract income, depending on your individual tax situation. If you earn less than £20 per hour, or you only intend to be contracting for a short period of time (i.e. 3 months or less), then an Umbrella Company will be the better option for you. To see a comparison of these options simply request an Umbrella vs. Limited income comparison here and I’d be happy to send you the calculations based on your contract rate. 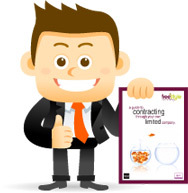 Setting Up A Limited Company – What do you need to do? All you’ll need to do is log your expenses and invoice your clients. Simple! 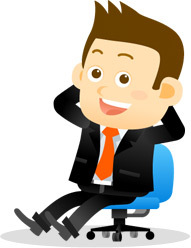 What about all the Paperwork and Hassle of Running a Limited Company? We take care of it. Since we started back in 2006 our goal has always been to make Contracting through a Limited Company as stress-free and easy as possible, so we’ve developed a service that takes care of everything. We do all the paperwork and administration for you, so you can concentrate on your new career as a Contractor. The IR35 legislation looks at your relationship with your end-client and tries to determine (through your contract and working practices) whether you are truly self-employed or an employee of the client “disguised” behind your limited company. Do you need to have your Contract Reviewed? Yes, but don’t worry we can do that too. As part of our service, we will have your contract reviewed by our IR35 experts to determine whether you are ‘inside’ or ‘outside’ the IR35 legislation. Inside or Outside IR35 – how will it affect me? If you’re outside IR35 then you will benefit from the tax advantages of a Limited Company discussed above. The vast majority of contracts we review are outside IR35. If you’re inside IR35 then the tax benefits of operating through a limited company are reduced, because all your income will be subject to PAYE tax. How much could you Earn through a Limited Company? Depending on your personal tax situation, you could retain more of your contract income through a Limited Company. If you’d like a personal illustration showing exactly how much you could earn then simply complete the form opposite or call me on 0800 954 2101. Not Ready Yet? – Download our Free Guide instead. IR35 legislation and how to avoid being caught. 0800 954 2101 or via email at tax@freestyleaccounting.com.